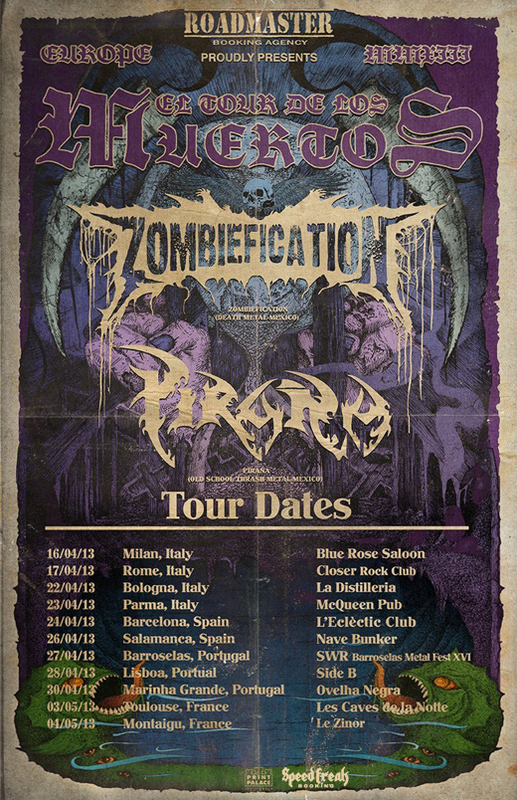 It is with immense pleasure that Roadmaster Booking comes to announce the dates of the European tour of ZOMBIEFICATION and PIRAÑA. The tour has shows scheduled in Italy, Spain, Portugal and France and includes an appearance at SWR Barroselas Metal Festival besides bands like Possessed, Pentagram, Belphegor and Cryptopsy. 28/04 Lisbon, Portugal @ Side B.